BJJ World Champion Leandro “Brodinho” Issa from the Evolve Fight Team is looking to make a statement when he returns to action at in Manila at ONE: Roots of Honor. The 35-year-old mixed martial arts veteran has seen a lot in his career, but says that his love for the craft is what keeps him soldiering on. “Martial arts is my passion, it is what I love. When you love what you do, you can keep going,” said Issa. Issa is scheduled to take on China’s Fu Chang Xin in a three-round bantamweight contest. The Brazilian Jiu-Jitsu World Champion is a winner of three of his last four outings, with two of those victories coming via spectacular finish. Taking on a different style with his Chinese counterpart this time around, Issa enjoys devising winning strategies and finds challenge in facing top tier opposition. 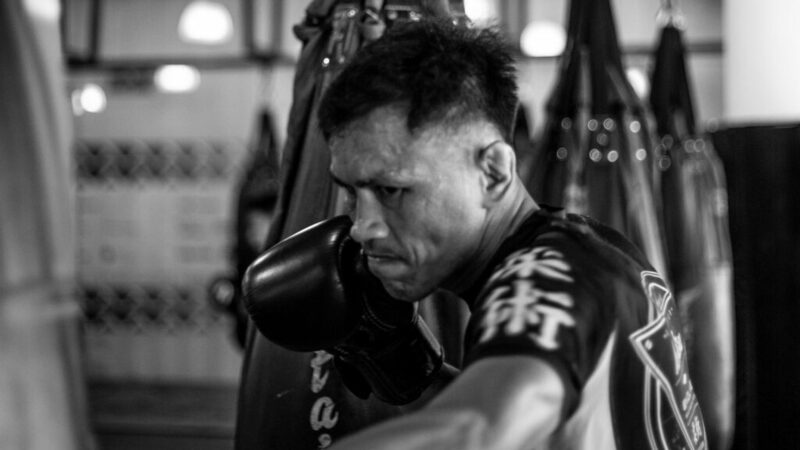 “ONE Championship has a lot of great athletes, especially in the bantamweight division. There are many top-level athletes with different types of games so it’s always fun trying to figure out how to beat an opponent when you get a fight,” said Issa. Of course, Issa remains fixated on climbing his way up the bantamweight ladder, hoping to one day earn himself a shot at the ONE Bantamweight World Championship. In order to achieve this goal, however, Issa realizes exactly what is required of elite athletes. Having been a World Champion himself, “Brodinho” knows just how much work World Champions put in so they can remain in top contention. 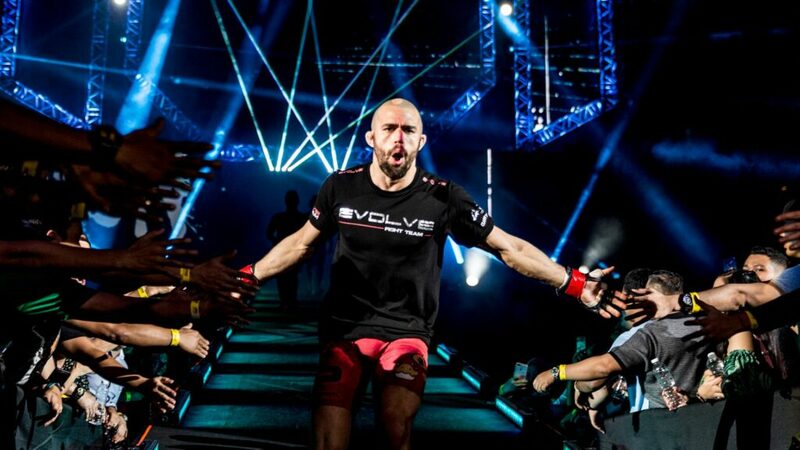 “To make it at the highest level of MMA, you have to be dedicated and work hard,” said Issa. But before he can even think of earning a title shot, Issa must first take care of the man in front of him. The Chinese stalwart owns an 8-1 professional record and is known for his aggressiveness and power. Four of his eight victories have ended by knockout and one by submission. He hasn’t lost in five years. 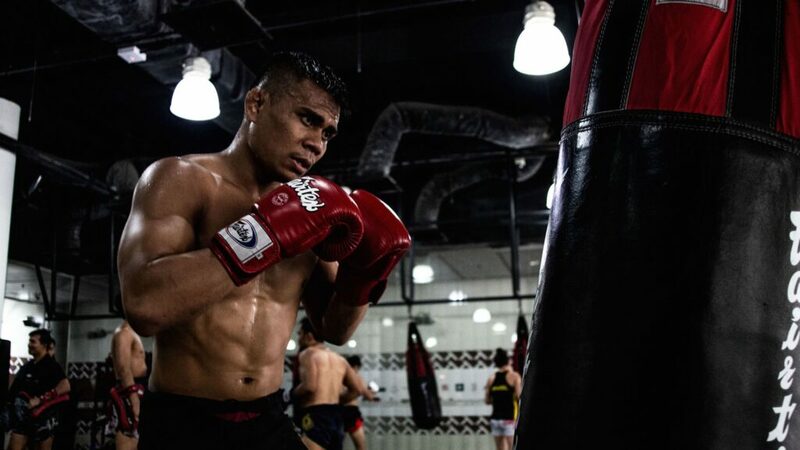 Despite the danger his opponent poses, Issa remains confident in his abilities and believes he will exit the ONE Championship circle with the victory. “Fu Chang Xin is a good fighter. He is well-rounded, and I’m expecting anything from him. But I am always confident in my game and look forward to getting the victory,” Issa concluded. 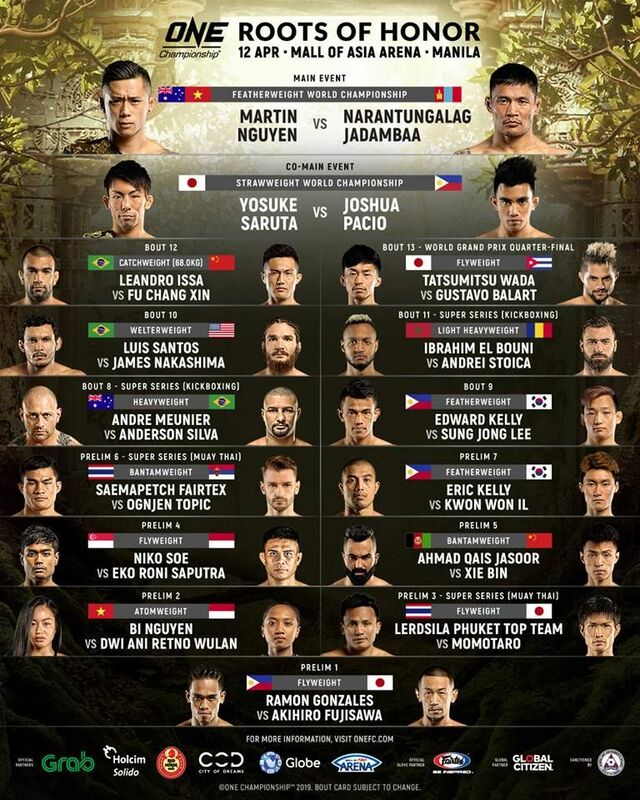 Catch Leandro “Brodinho” Issa from the Evolve Fight Team at ONE: Roots of Honor this Friday, 12 April from the Mall of Asia Arena in Manila, Philippines. 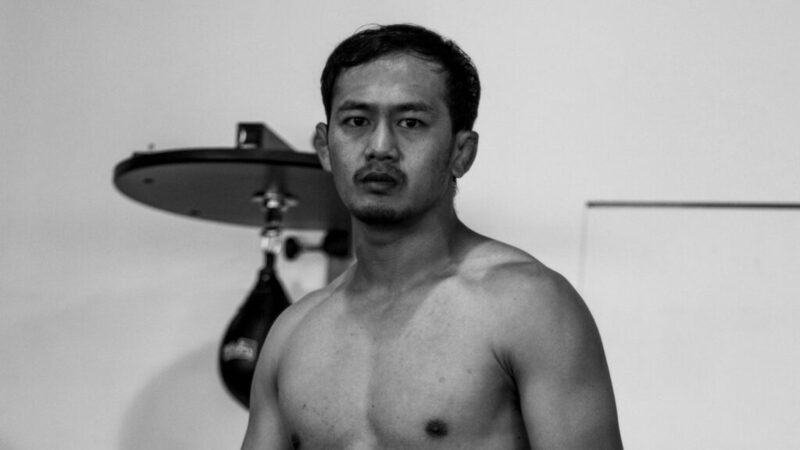 Also in action is Indonesian Wrestling Champion Eko Roni Saputra from the Evolve Fight Team, who makes his professional mixed martial arts debut against Singapore’s Niko Soe.